Spend your day fishing, and then take your catch back to camp. Cook fish whole or clean into fillets. 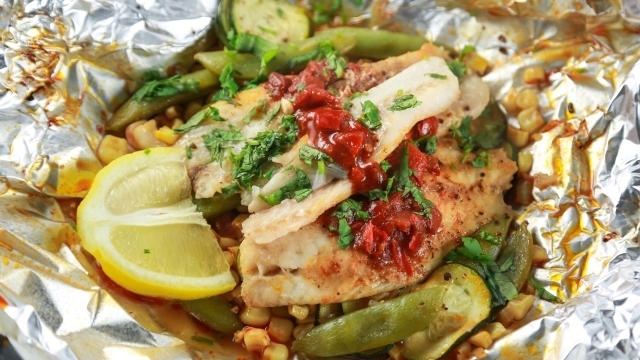 Fill the foil packet with whatever veggies and seasonings you have on hand and in just a few minutes, dinner will be ready. There are no pots to clean and little mess to make – this is my kind of camp cooking. 1. Prepare grill for medium, direct heat cooking. 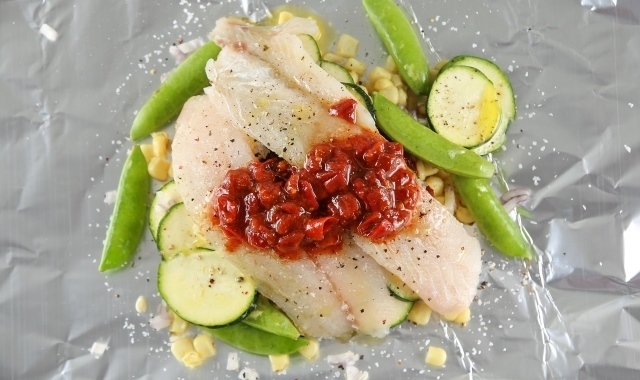 On a large piece of heavy-duty aluminum foil, place frozen corn, shallots, salt, pepper, sliced zucchini, sugar snap peas, and walleye. Sprinkle more salt and pepper onto the fish and top with the harissa sauce. Drizzle with olive oil. Fold up foil to make a packet. 2. 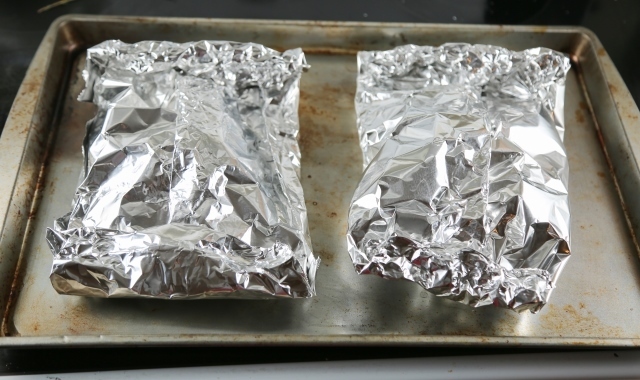 Place foil packets on the hot grill. Cover and cook for 10 minutes or until fish is cooked through and flaky. Sprinkle with cilantro. Serve with lemon wedges.